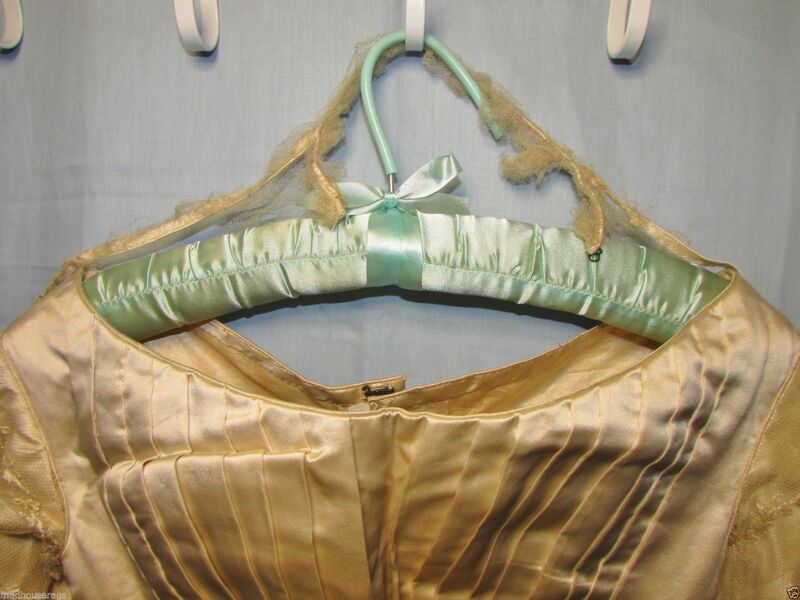 This very pretty bodice, with a partial attached skirt, is made of an ivory satin. 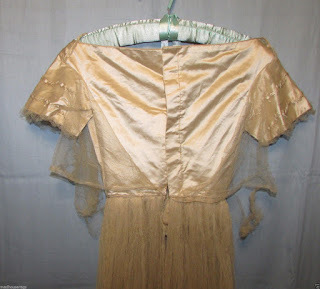 The sleeves have an embroidered net overlay, the rest of the bodice had a plain overlay that has come unattached. In an unusual detail, there are straps, attached at each shoulder, and an attached collar that fastens, either in front or back, with a hook and eye, the eye is missing, however. 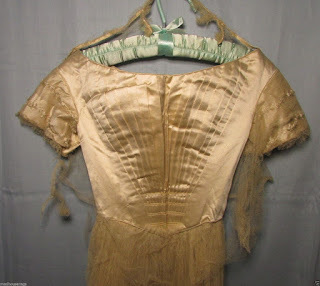 The bodice itself fastens in back with hooks and eyes, most of the hooks are missing, it's lined with white cotton, with padding at the bust. 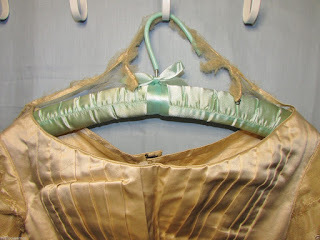 The bodice itself is in good condition, with no damage to the satin. 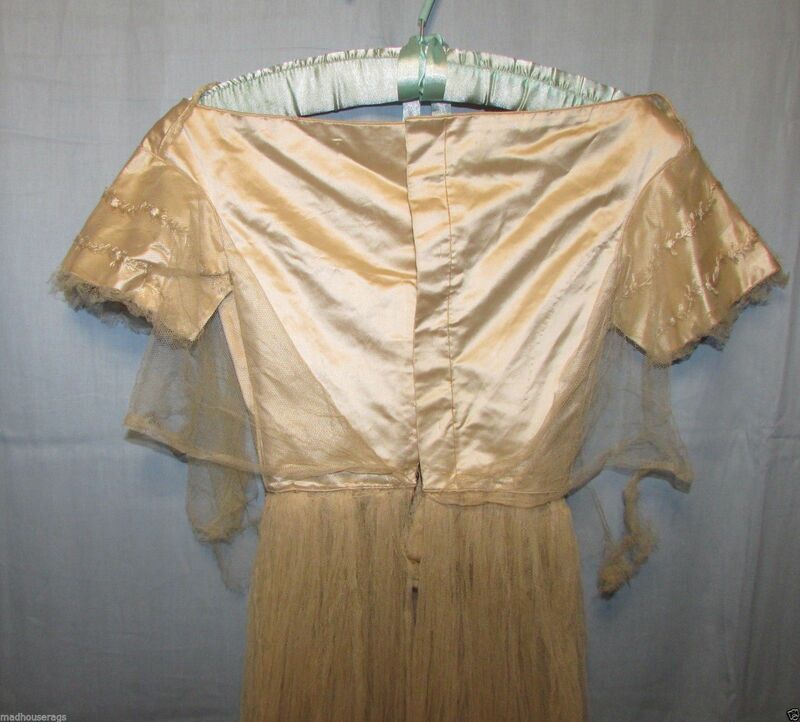 The net on the sleeves looks very good, the bottom seam at both arms has come unsewn, it's not ripped or torn here, however. 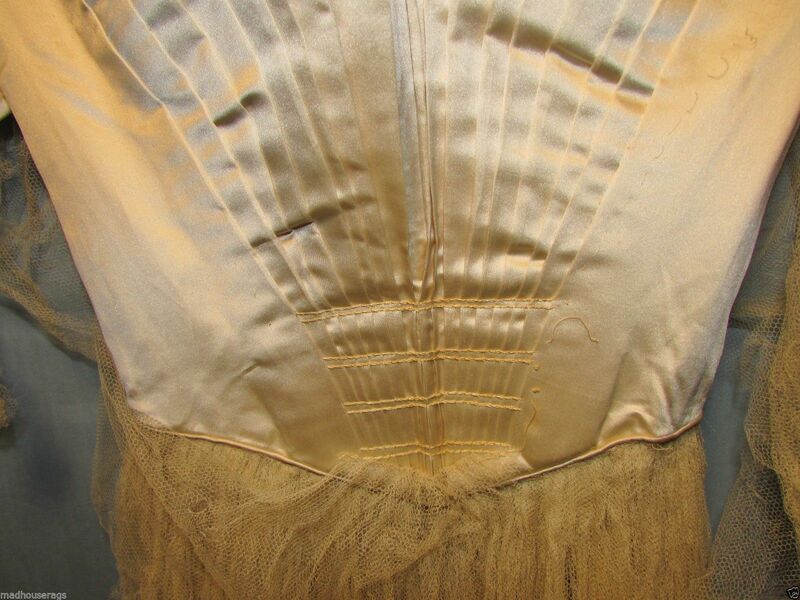 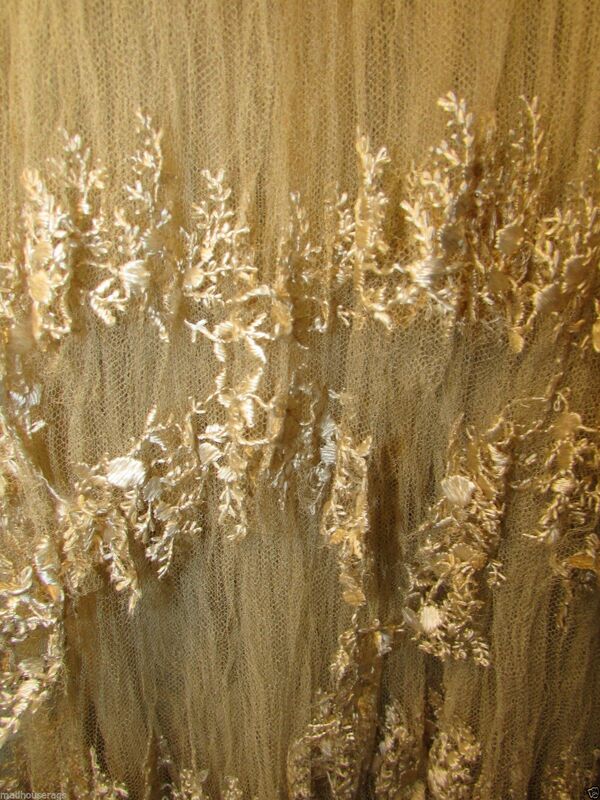 The net overlay at the back of the bodice is torn, this could be removed if you wanted to display the bodice. 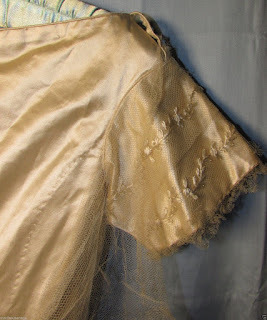 The bodice itself could also be removed from the skirt easily, it's attached with loose stitches. 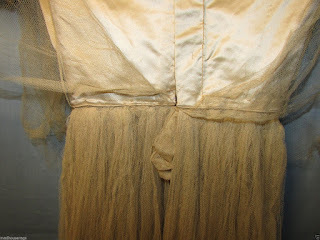 The skirt section is in poor shape, as you can see. 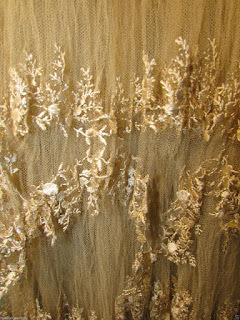 Some of the embroidery could be salvaged, but would have to be reapplied to a new backing, the net is already deteriorated, or very weak. 1840-50. If you click on the yellow dress, you can see the probable fan front. 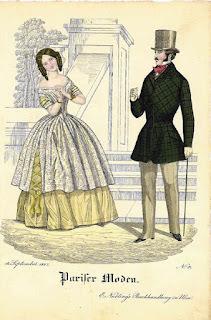 The black dress from 1848 has similar sleeves and the mulitple layers of netting to the extant one here. 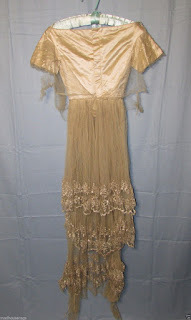 The dress is from about that time.